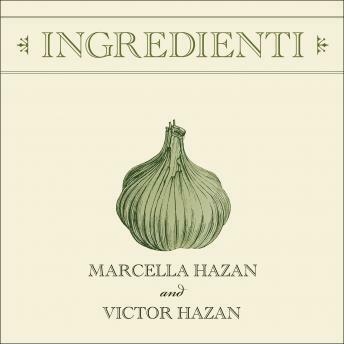 When Marcella Hazan died in 2013, the world mourned the passing of the 'Godmother of Italian cooking.' But her legacy lives on, through her cookbooks and recipes, and in the handwritten notebooks filled with her thoughts on how to select the best ingredients-Ingredienti. Her husband and longtime collaborator Victor has translated and transcribed these vignettes on how to buy and what to do with the fresh produce used in Italian cooking, the elements of an essential pantry, and salumi.